The Big Sea: "The One Year Bible" by Matthew, Mark, Luke, John and the rest of them! 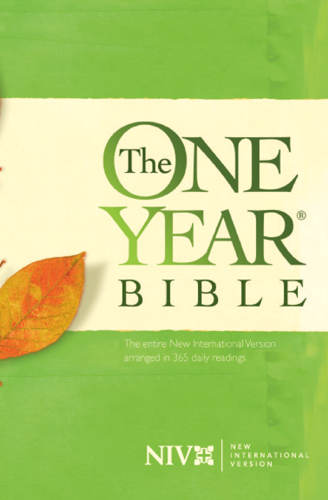 "The One Year Bible" by Matthew, Mark, Luke, John and the rest of them! Around this time last year I found out that my sister, Tracy, and my momma had been reading The One Year Bible for years, and I thought "Why are they keeping secrets?" Me being me, I instantly downloaded The One Year Bible and have been spending about fifteen minutes a day reading The Word for the past year. Today, on an airplane, I read the last part of the Bible. Being that I was on the plane with nothing else to do but think, that's exactly what I did. I thought a lot about commitment and how many people start things like reading The One Year Bible and never finish. There were some days that I did not read for whatever reason, but I would make sure that I always got back on track with my readings. I may get off track with eating right, being kind, exercising, teaching great lessons, but THANK GOD for new days, new years, and new opportunities to start over and get it right. The bible ended with scriptures about the virtuous woman, and I thought what a befitting ending. I really pondered on Proverbs 31:17 when it stated that "the virtuous woman is energetic and strong, a hard worker." This made me think about how important it is for us to take care of our bodies in order to be virtuous. Proverbs 31: 16 states that the virtuous woman "She goes to inspect a field and buys it; with her earnings she plants a vineyard." This passage made me smile because a virtuous woman can and will buy things of her own and do something productive with her earnings that will benefit her family. I thought, the virtuous woman sounds like Superwoman, but I delighted myself in knowing that all of the things that are required of the virtuous woman are possible with God. I thought a lot about how much I have grown this past year, and I credit much of my growth to the reading of The Word. 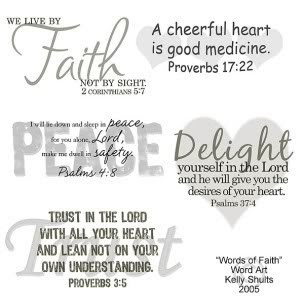 It's one thing to hear people quote The Bible, but its another thing to know it for yourself. And there's a whole bunch to know. I really like for things to start and end, and I was pretty excited about finishing The One Year Bible and moving on to something else. However, Tracy convinced me, that this time around, I would see things that I did not see before. So, tomorrow, I will be starting from day one of the One Year Bible.....let's see how it goes this time. People, this year, let's try and focus on commitment and seeing things through to the end! "We Fall Down, but We Get Up!" That was Great Jack! Thanks for the inspiration to become committed to WHATEVER we put our minds to!